Data Sources Ohio Elects the President, p. 50. This small political party used several different names, often with different names in different states. 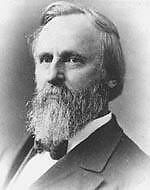 It was a continuation of the Anti-Masonic Party that met in 1872 and nominated Charles F. Adams for President. 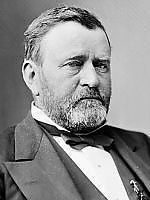 When Adams declined to run, the party did not contest the 1872 election. Very little is known about the 1875 national convention. Neither the New York Times nor the Philadelphia Inquirer carried stories on it. What little is known comes from a short article in James T. Havel's U.S. Presidential Candidates and the Elections, vol. 1, pp. 47-48. The convention was held 6/8-10/1875 in Liberty Hall, Pittsburgh. B.T. Roberts of New York served as chairman, and Jonathan Blanchard was the keynote speaker. Havel reports that the platform supported the Reconstruction Amendments, international arbitration, the reading of the scriptures in public schools, specie payments, justice for the American Indians, abolition of the Electoral College, and prohibition of the sale of alcoholic beverages. It declared the first day of the week to be a day of rest for the United States. The platform opposed secret societies and monopolies. The convention considered three potential presidential nominees: Charles F. Adams, Blanchard, and James B. Walker. When Blanchard declined to run, Walker was unanimously nominated. The convention then nominated Donald Kirkpatrick NY unanimously for VP [Havel, 1:47-48]. In the campaign of 1876, the name most associated with the Walker-Kirkpatrick ticket was the American National Party. It fielded slates of Presidential Electors in six states, winning 459 votes.